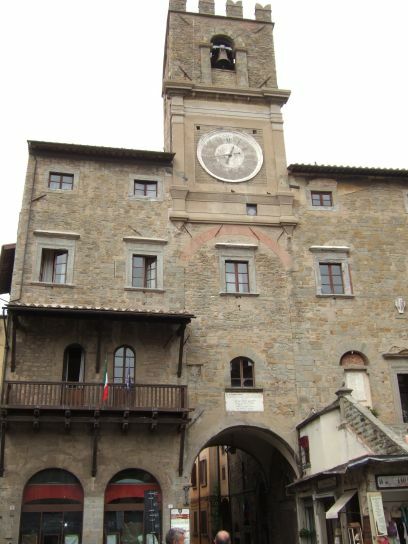 The ancient town of Cortona dates from the Etruscan period, followed by the Romans, and much of what you see today of Cortona's structure dates from the medieval period. 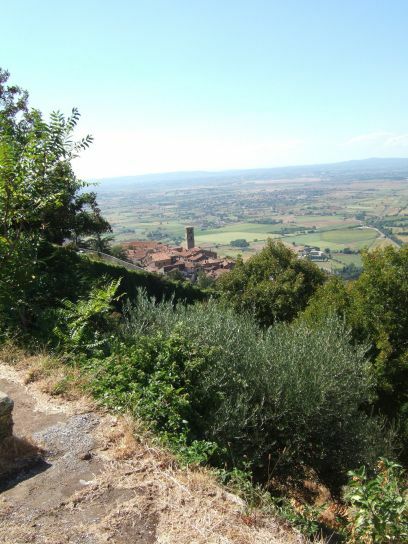 Cortona: View from the railway line from Florence to Rome. 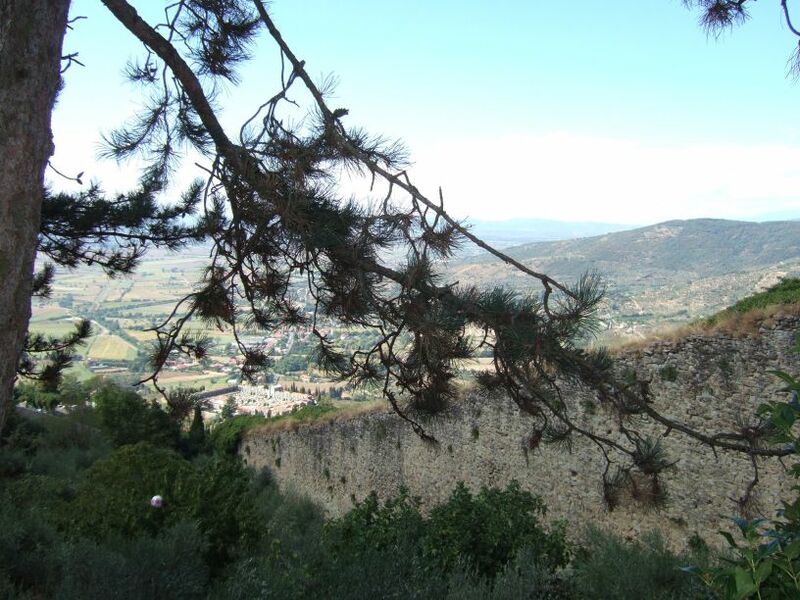 Cortona: Ancient gateways and defensive walls. 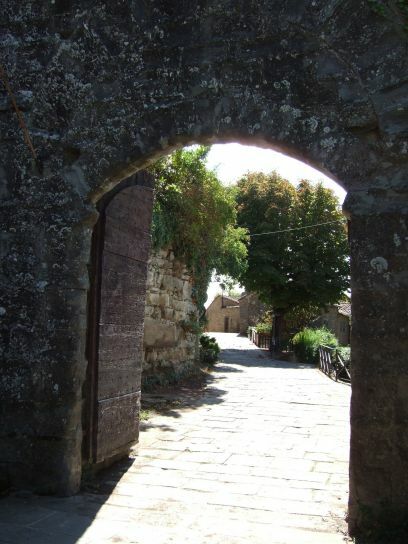 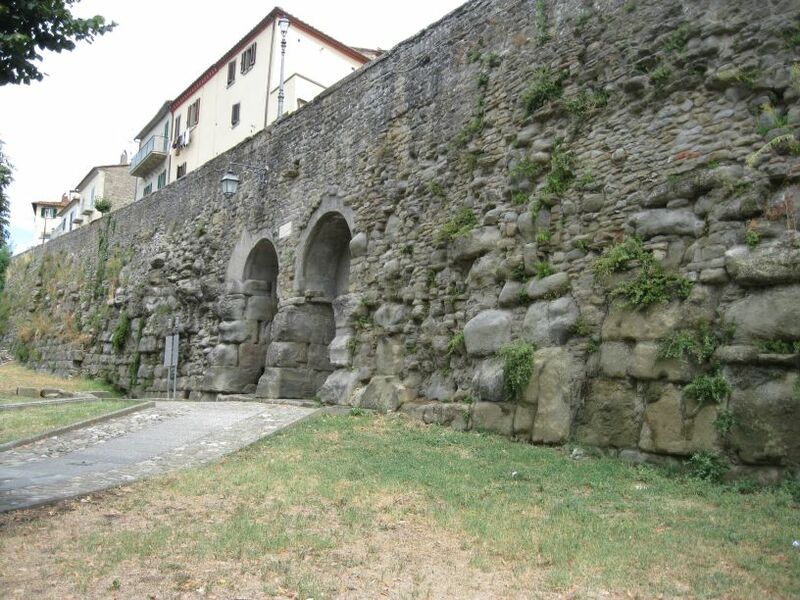 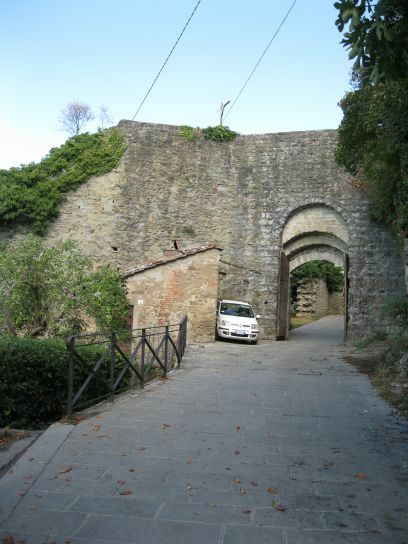 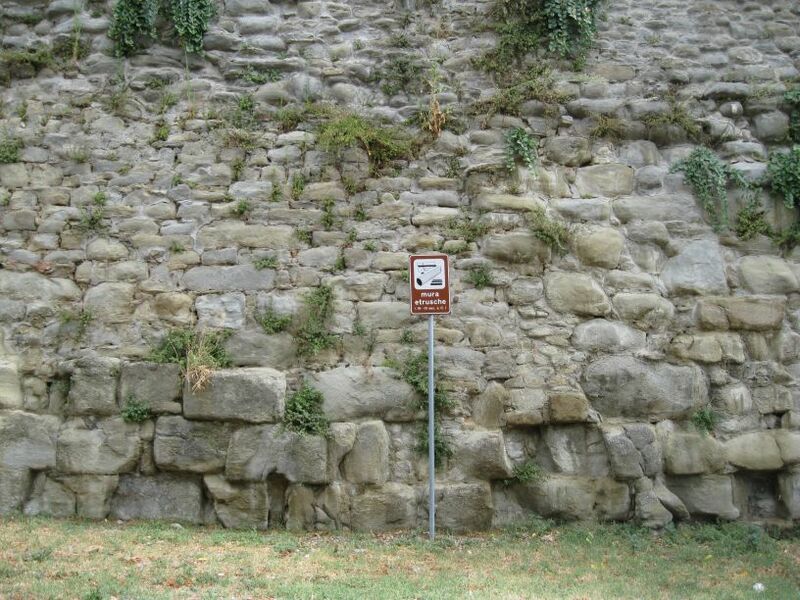 Cortona: The city walls of Cortona and a pair of ancient gateways, first built by the Etruscan. 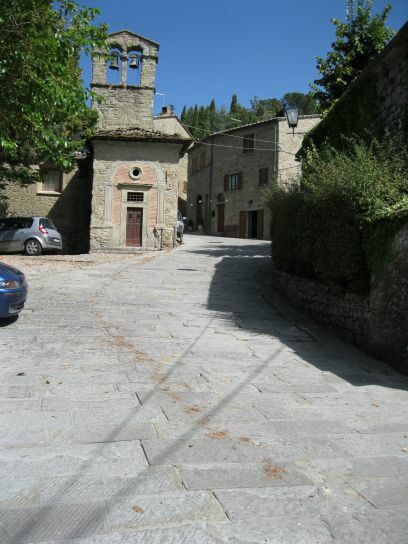 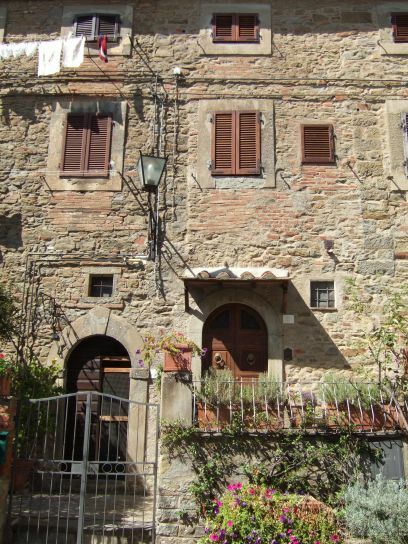 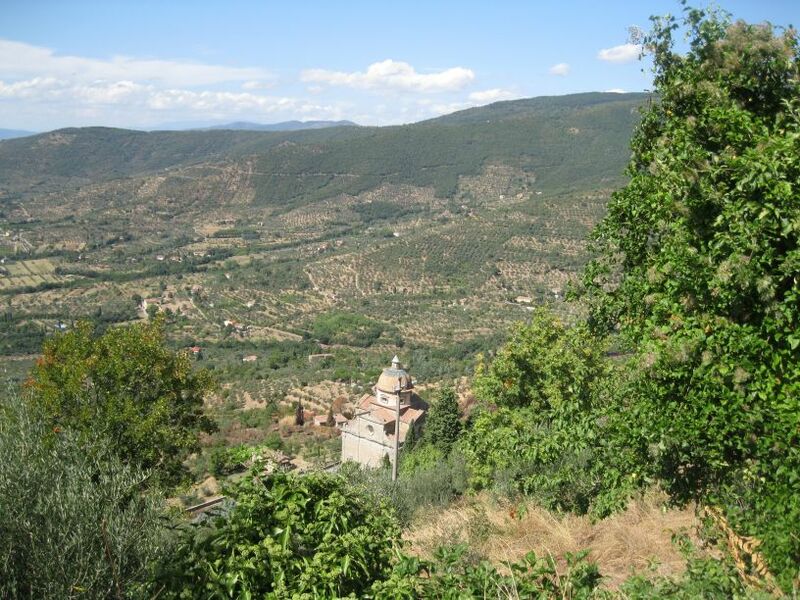 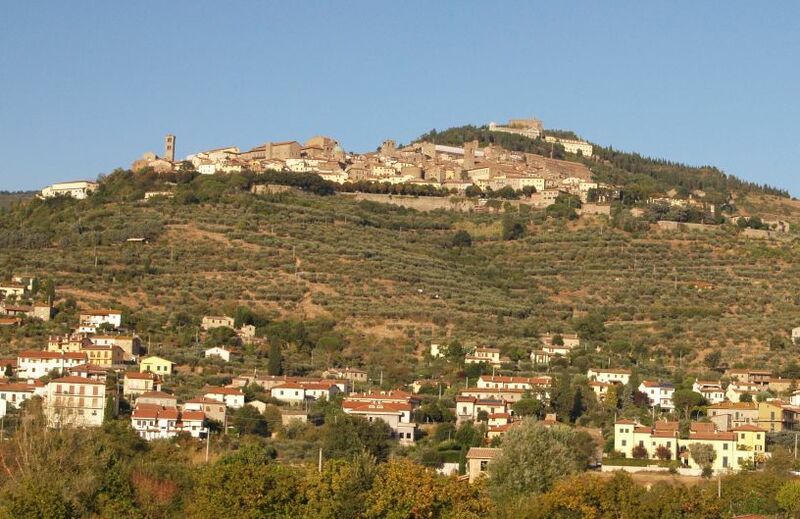 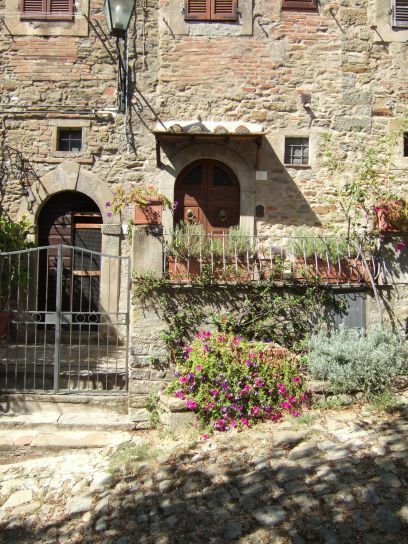 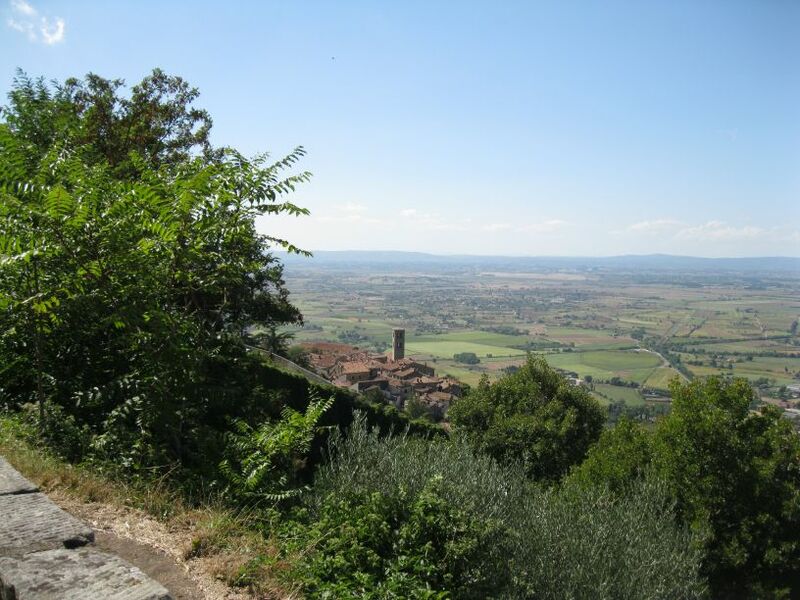 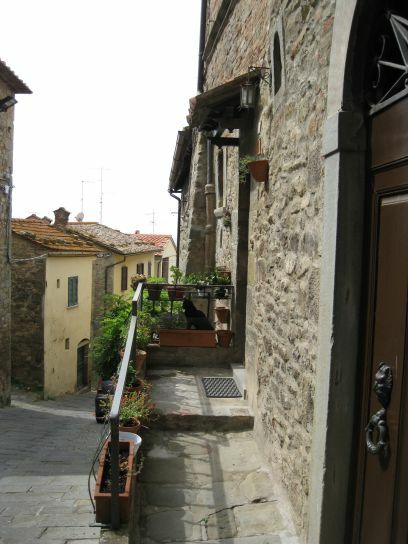 Cortona: The Tuscan landscape beyond the town walls. 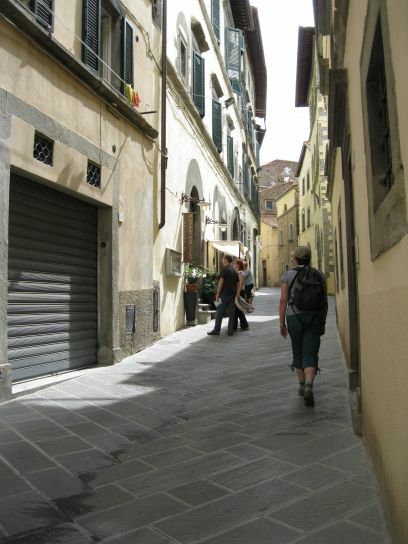 Cortona: Lovely paved streets to walk around and explore. 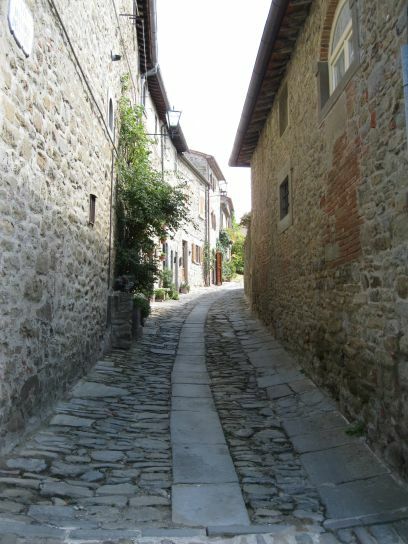 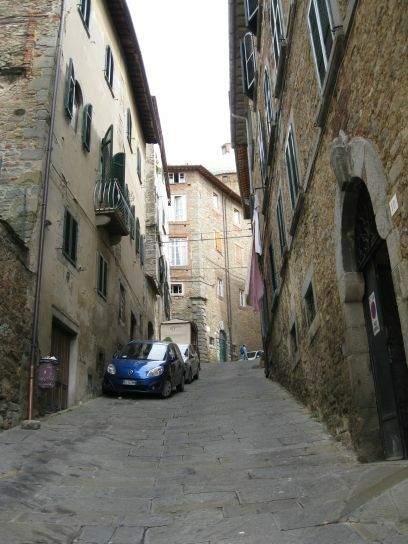 Cortona: Narrow streets open out into piazzas and doorways to palazzos. 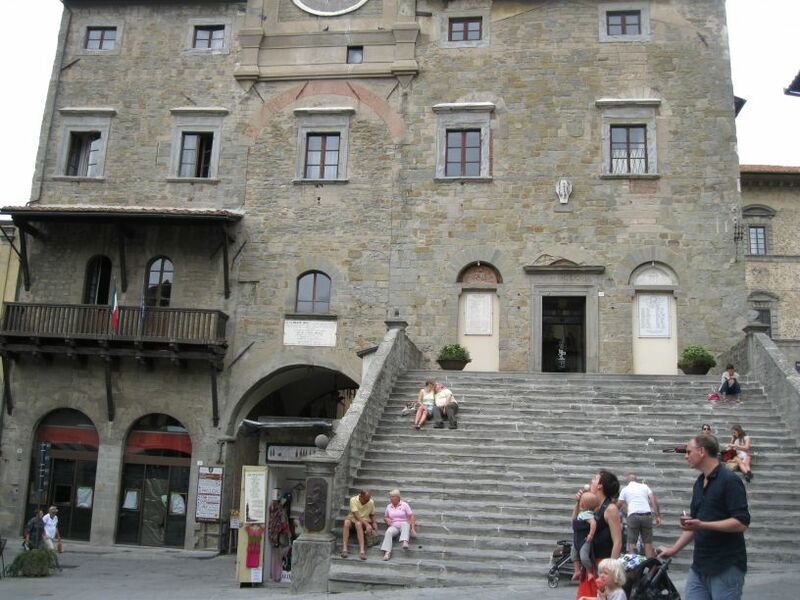 Cortona: One of the central piazzas with palazzo town house. 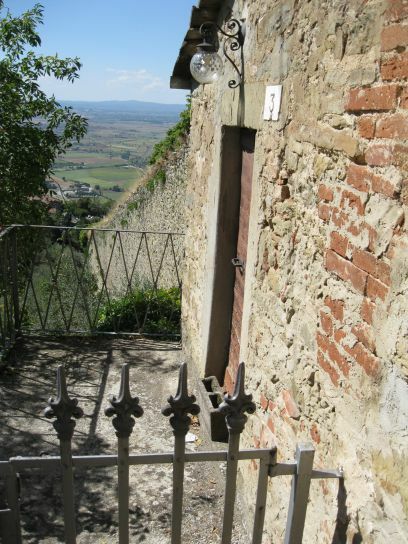 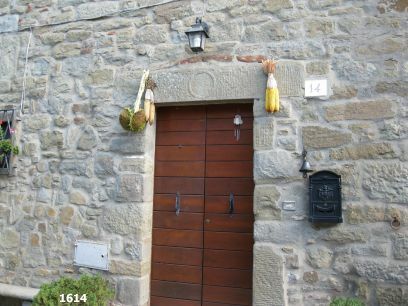 Cortona: The steps upto the entrance doorway of the ? 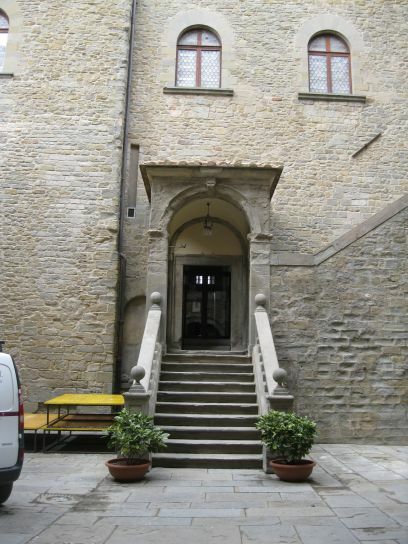 palazzo, a favourite place to sit and relax! 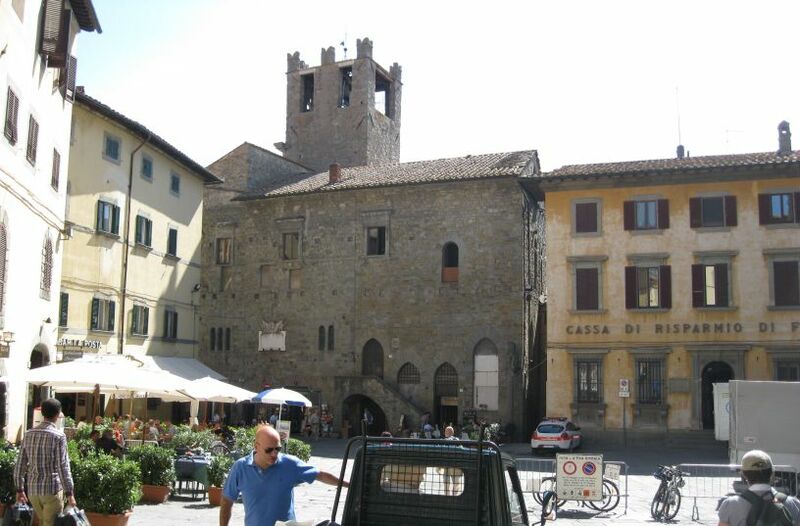 Cortona: A small ancient church with its twin bell tower. 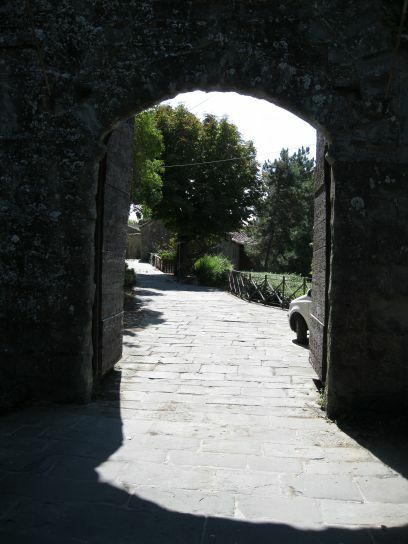 REDO [...]? 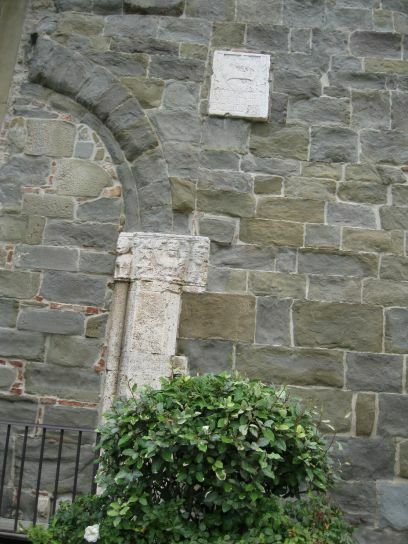 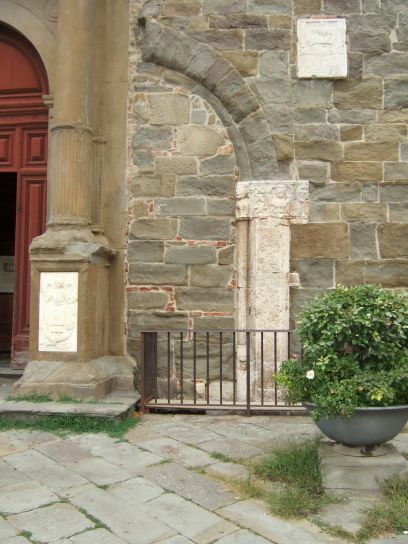 Cortona: An old Romanesque doorway with traces of elaborate carvings (see below). 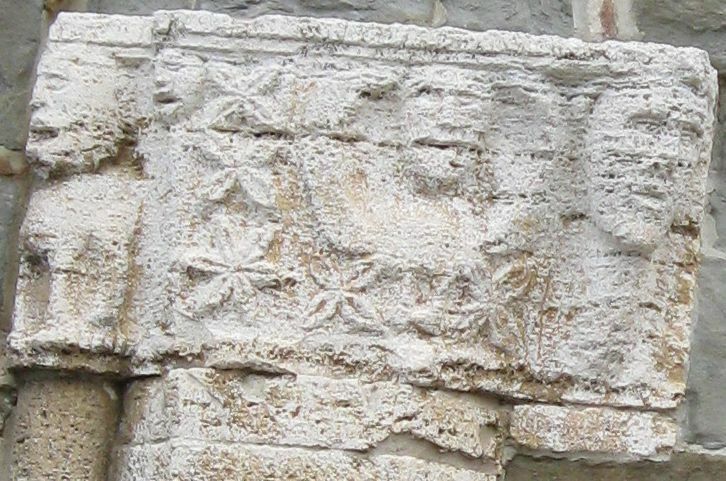 Cortona: Detail of the carvings of the top of the pillar of the gateway above. 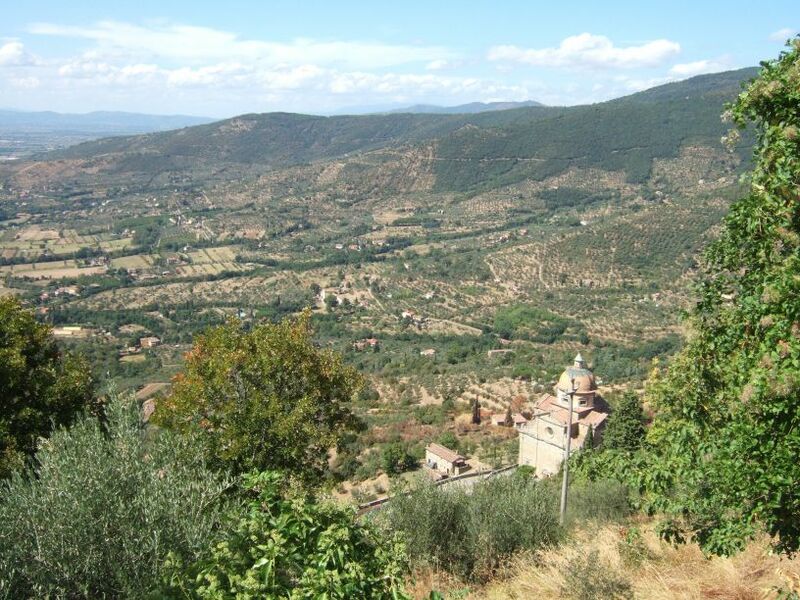 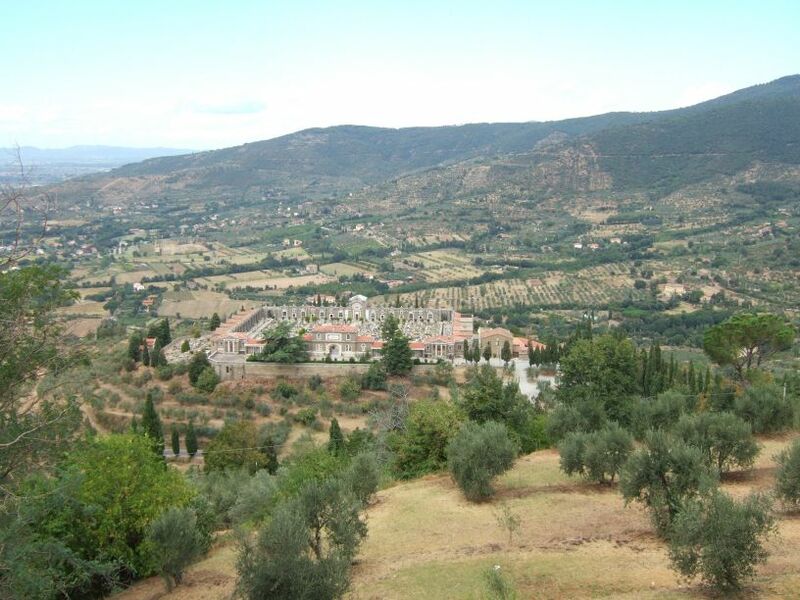 Cortona: The dome of another church and beyond the olive groves and farmsteads of the beautiful Tuscan countryside.